I am not an expert in Astrophotography. Nonetheless, I had the chance to try my hand at it when I was on the island of La Palma back in 2011. 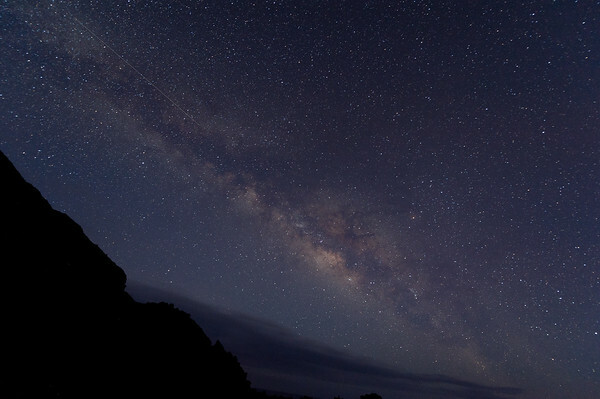 La Palma, along with Mauna Kea in Hawaii, is one of the most important locations for professional astronomy in the world. It is the location of the world’s largest single mirror telescope as well as many other high end devices. The reason why La Palma is such a great place to do astronomy is because the top of the mountain there is almost always above the clouds which means there a large number of nights each year where you can see the heavens. I had the opportunity while I was on La Palma to go out one night and shoot the stars with my camera with a local amateur astronomer. I jumped at the chance. What mounting your camera to a motorized telescope allows you to do it get longer exposures without getting the blur of stars moving across your field of view. I spent several hours trying to perfect what I was capturing and took many photos trying to get a decent view of the Milky Way without clouds in the way. The result is what you see on the top of the page. Astrophotography is something I’d like to do more of, but I just haven’t made the effort to do it. Based on the images I’ve seen online, I think there is a lot of room for improvement compared to what I’ve done in the past. What a great shot. Gary! I did not have a chance to come across this. Great shot Gary! Like some of the commenters here I also struggle to get good star photos! Any tips would be great as an article for the future? I’ve only ever seen the Milky Way once and didn’t have a good enough camera with me…this shot is excellent. A perfect photo! I like that you share the camera type and settings, too. As someone still trying to grasp the finer details of photography it really helps to see what is going on behind some of my favourite shots! Great shot! I’ve been tiptoeing around astrophotography for a while too, but there is a lot of light pollution near where I live makes it extra difficult. I hope you had a lot of fun experimenting that night; you certainly got a great image to takeaway from it! What an awesome opportunity that was, I would have jumped at it too! You did a wonderful job capturing this amazing image. Thanks for sharing! I was at Mauna Kea just a month ago, and was astounded at not only the light show of stars but also the stat they told me that if you counted all the grains of sand in the world and multiplied them by 10, you wouldn’t come close to the number of stars in the universe. Unreal! Please tell me you slept under that beautiful night sky?! Gorgeous – I love night sky photos! This part of photography still eludes me. I cant seem to take pictures of stars, or even the moons. Do you have some related reading? Awesome picture! I am new in your blog and your work is great, I am learning how to take pictures and just try your photo info. 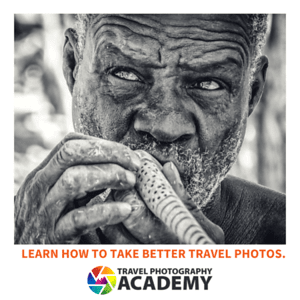 Thanks for sharing and I am in agreement with travel Tips and Hacks you should take more pictures like those. These shots are breathtaking. My husband and I live in the city and we never get to see anything like this, there is way too much light in the city. Man, that is breathtaking. You really should do more of these shots.